Today sees the release of Marvel’s new TV show Cloak & Dagger, streaming on FreeForm in the USA and Amazon Prime internationally. And also a new comic book, published digital-first by Marvel Comics. And presumably what we’d identified as Cloak & Dagger: Classified on Amazon. 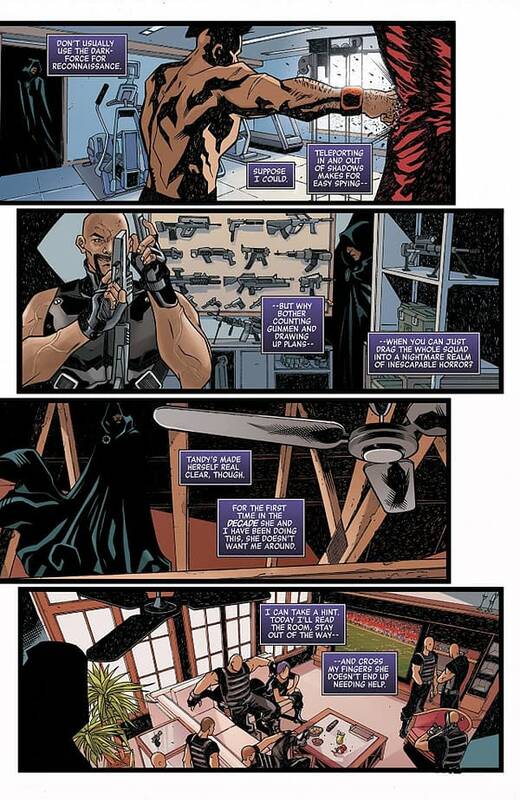 Could the Luke Cage: Classified and Jessica Jones: Classified projects also be digital comic to be released at the same time as their respective Netflix shows? Looks like it. Here are the solicits for all six issues…. and a preview of the first issue, out now. For years, Tyrone Johnson and Tandy Bowen were the super hero duo called CLOAK AND DAGGER — waging a citywide war on drugs, organized crime and corporate greed. 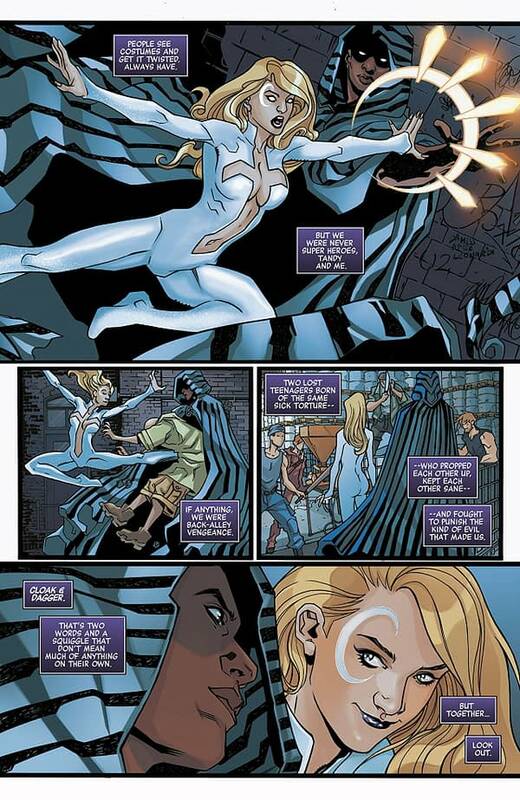 In recent years, their crusade has taken them across the globe, fighting alongside Spider-Man, The X-Men and even The Avengers, and though they’ve drifted apart, a dangerous threat from their past has resurfaced — one that will force Cloak and Dagger to reunite and come to terms with their truest feelings for one another and the past they share! 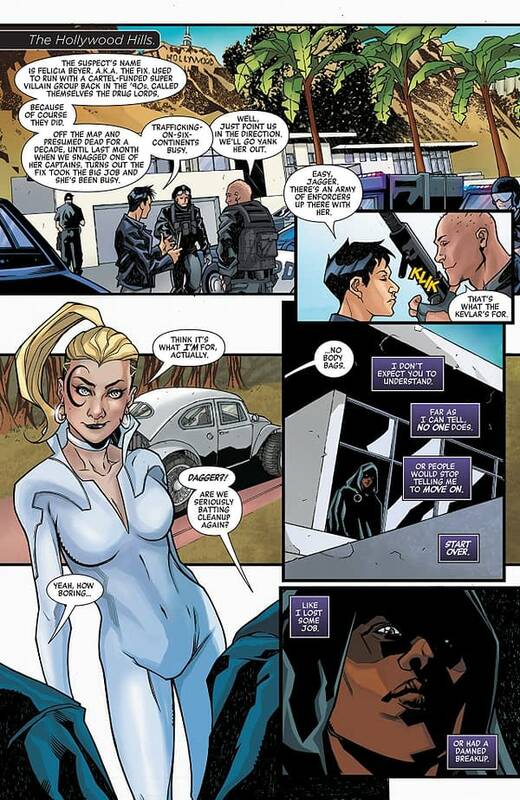 Despite the fact that they’ve gone their separate ways, Cloak and Dagger will always remain connected to one another — but Dagger has learned that there’s a force even more corrosive than villainy to her relationship with Cloak: mistrust. And things don’t get any better when the murders Dagger has been investigating continue…with victims who look like they’ve had the life sucked out of them. Dagger comes face to face with the killer she’s been tracking for days – but will she make it out alive?! And, at the moment she needed him most, where is Cloak?! 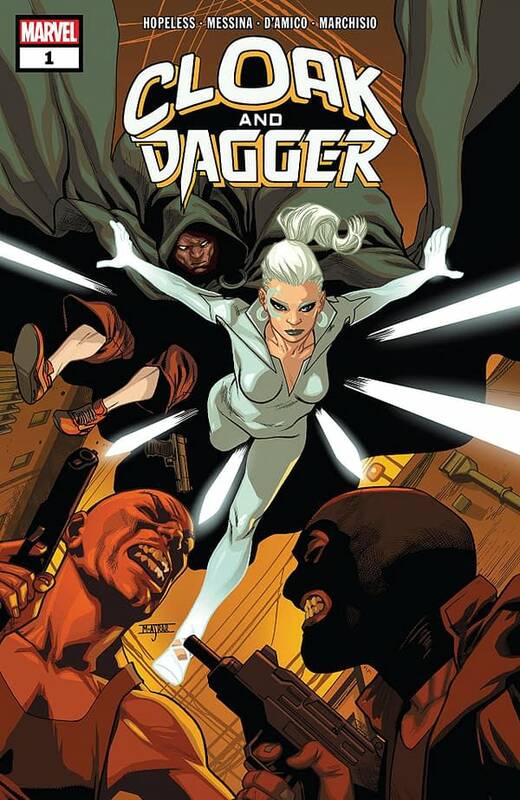 As they have no choice but to question the very nature of their reality, Tandy Bowen and Tyrone Johnson have to reunite and stop a musical festival’s worth of brainwashed civilians…as only CLOAK AND DAGGER can! Green Lantern/Green Arrow Misprint Today?